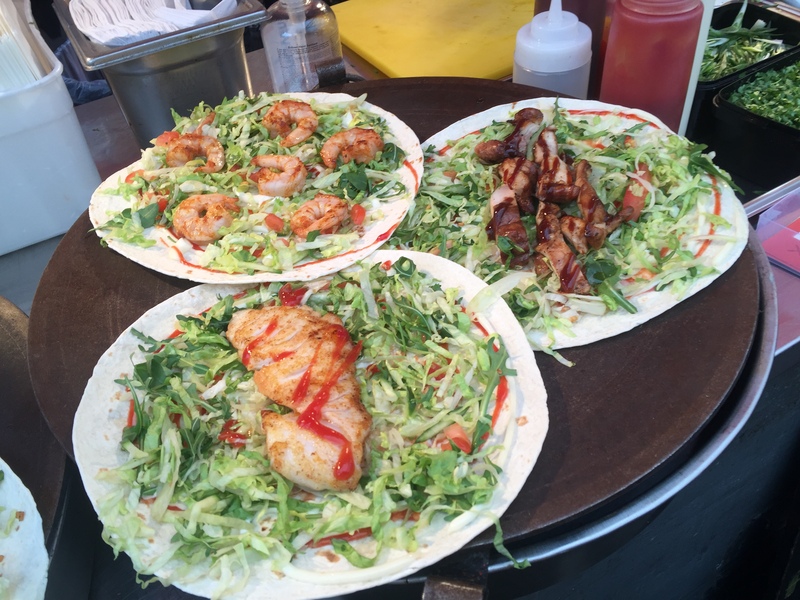 For the last three years Chef Patrick Williams has been cooking up a storm in the Jubilee section of Borough Market, serving his customers a whirlwind of African, Caribbean and American delights. My friend Urvashi and I arrived on a cold and blustery Saturday afternoon ready to sample some tasty cuisine to warm us up. 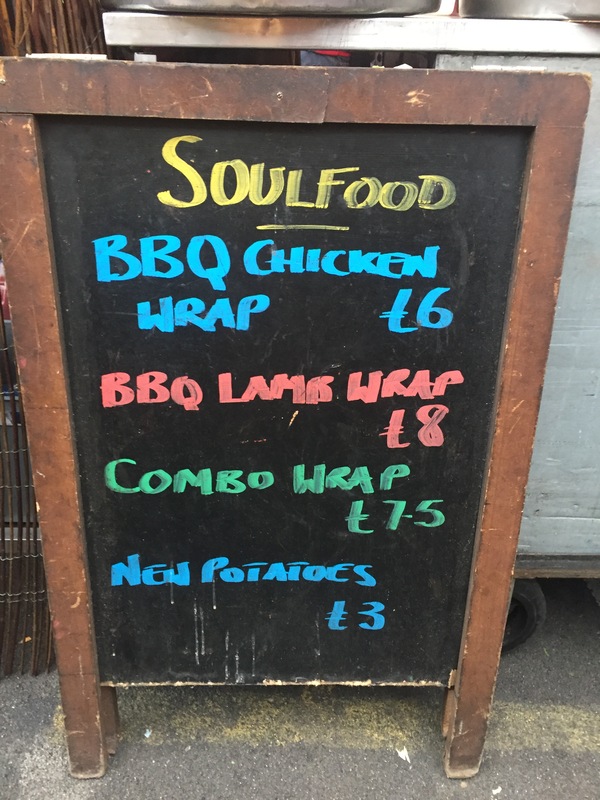 Upon arrival we could see that Eat Soul Food was a popular choice with the visitors to Borough Market as queues had already began to form and it was only 12pm. 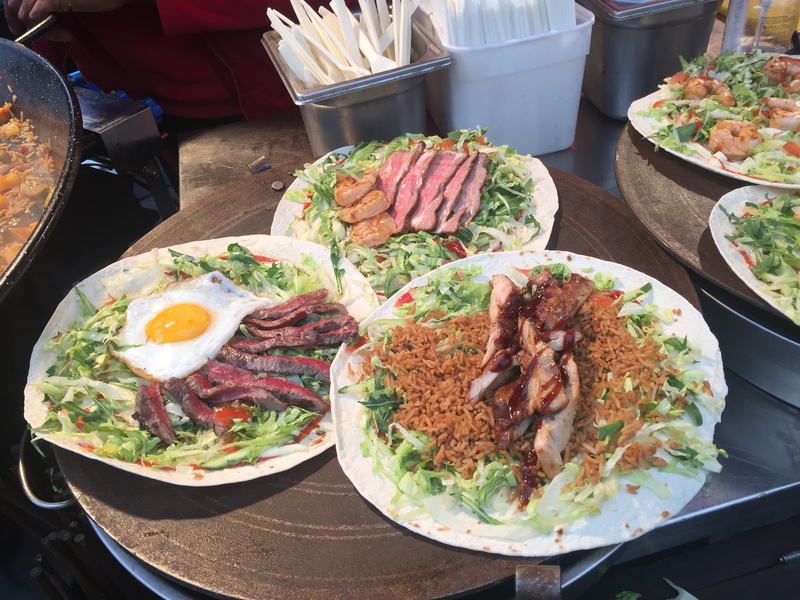 Looking around there were hordes of customers wondering what to choose from the steaming array of colourful wraps, boxes and more which were laid out before our eyes. We were eyeing up everything and couldn’t quite decide what to choose. Chicken or fish? Ham or lamb? Then, it was our turn! 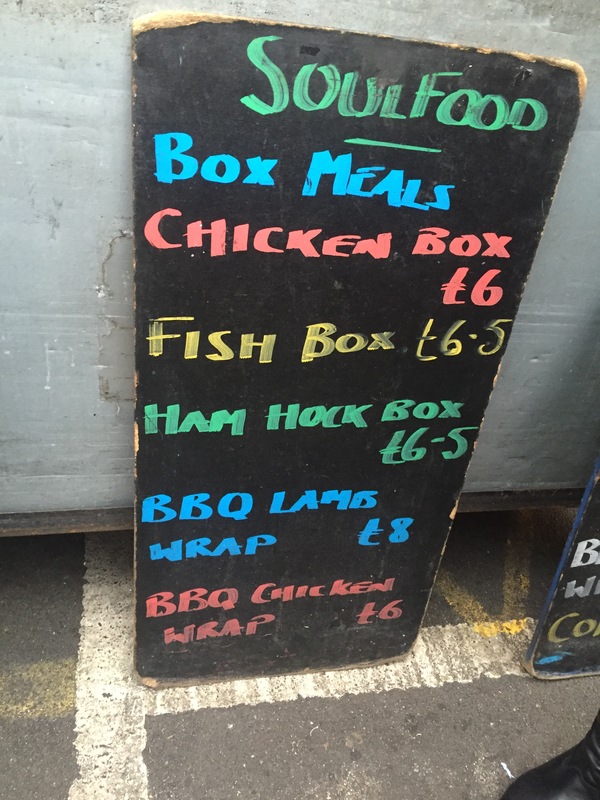 I opted for the fish box and Ush had a chicken box, which we can only describe as EPIC! 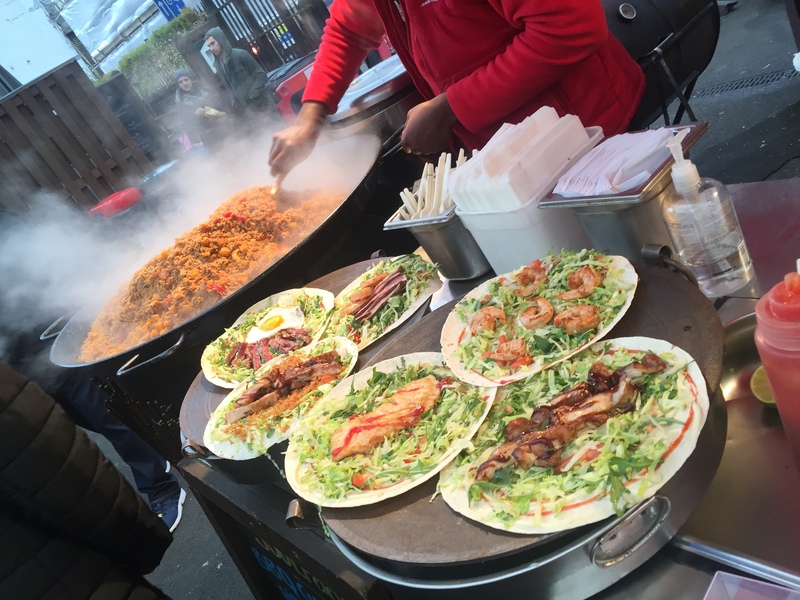 With his bad jokes, Trinidadian-born Patrick, who has worked in Michelin-starred kitchens, owned his own restaurants and had appearances on Saturday Kitchen, serves fresh and local produce which is sourced from suppliers such as Ginger Pig and Northfield Farm.. with a side helping of charm. 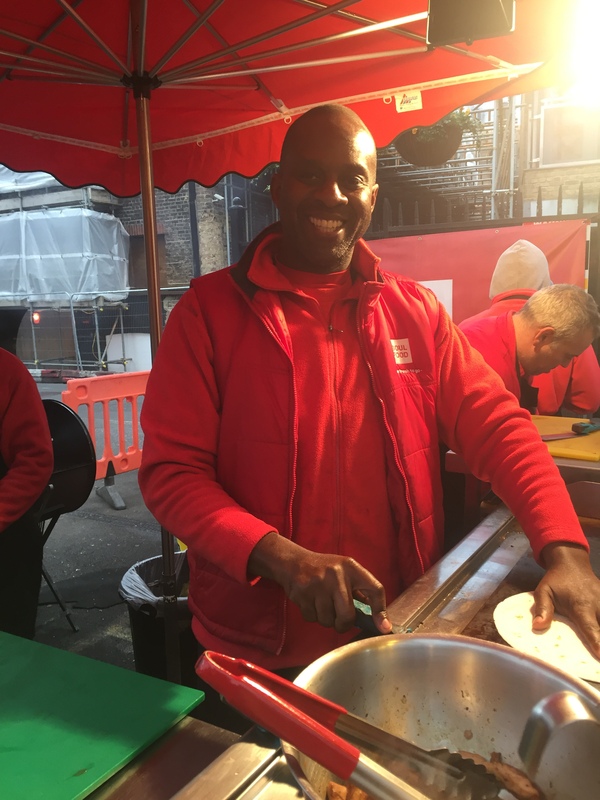 The team were serving everyone with smiles on their faces despite it being about 4 degrees; they looked like they were super-busy and it wasn’t letting up. 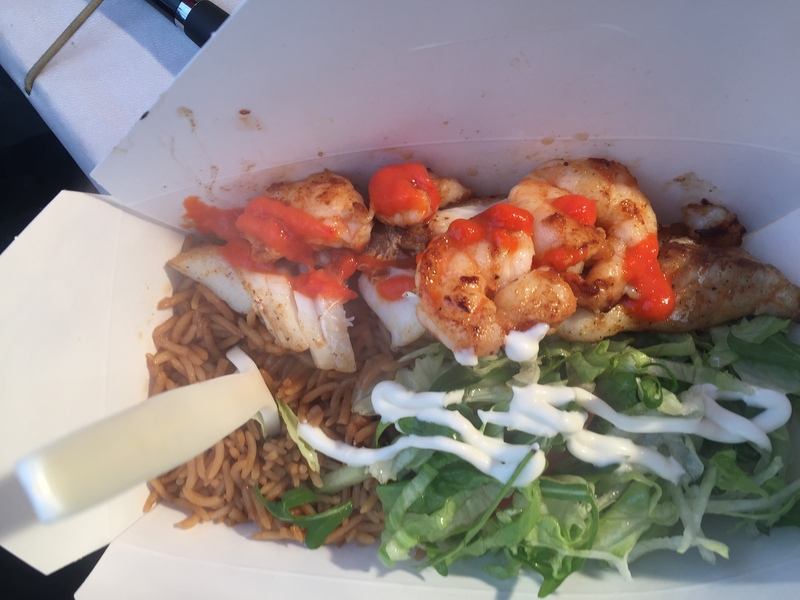 Our food arrived shortly after being made freshly cooked to order, the Fish box was tasty, juicy, succulent, flavoursome and luscious packed with cod, prawn, Caribbean pilau rice, salad and topped with mayo and sweet chilli sauce. 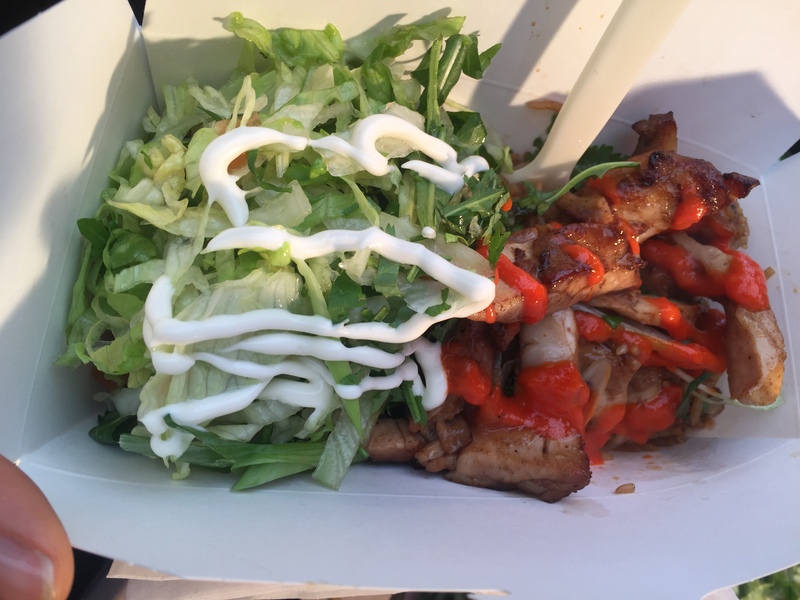 The BBQ chicken box was tender, big, juicy and full of spices, textures and flavours but not over-powering. The rice is made in huge portions and was mixed with butternut squash and sweet potato – YUM! Patrick and his team deliver a happy and authentic experience true to his roots and name. 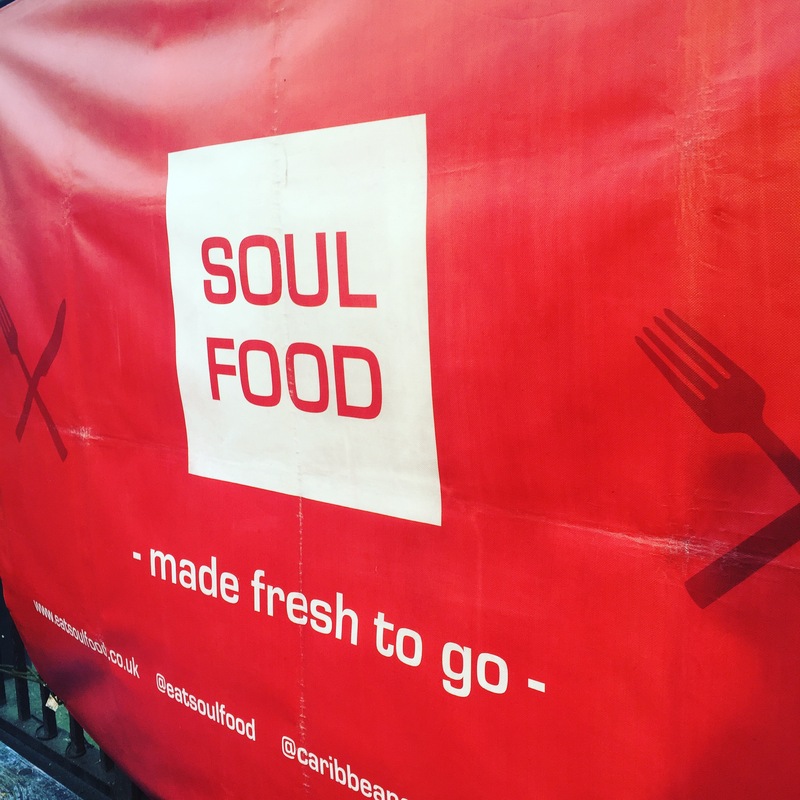 With a constant stream of customers and a queue behind us, we left Eat Soul Food a warm and fuzzy feeling inside us.